Tech with Legs: Moon Express, Inc. Moon Express, Inc. will soon reach the Moon's surface and win the $20 million USD Google X Lunar Prize, rocketing them closer to deep space travel. 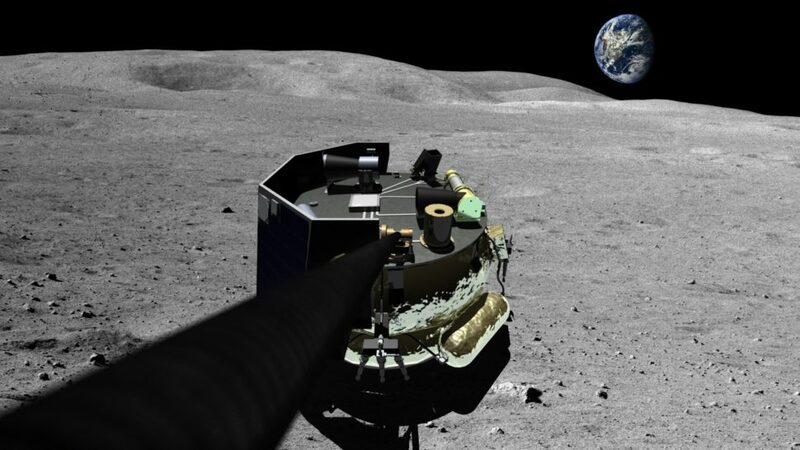 Artist Rendering of Moon Express, Inc. Lunar Lander on the Moon's Surface | Moon Express, Inc. It looks like humanity is returning to the moon for the first time since the Apollo space program. Thanks to private space exploration companies, we’re on the cusp of a brand new race with startups looking to take us to the stars and beyond. The first step, however, is making it to the Moon, and one company is close to taking us to the lunar surface. Humanity hasn’t been to the Moon in over forty years, but if Moon Express, Inc. has anything to say about it, we’ll be going back very soon. The company was formed from a group of Silicon Valley and space travel entrepreneurs with the goal of winning the Google Lunar X Prize. The first team to land a robotic spacecraft on the Moon gets a $20 million dollar prize, and it looks like Moon Express is at the head of the pack. To get a better view of the company and its ambitious project, we should first take a close look at the founders and their vision. Naveen Jain is the executive chairman of the company, and he is an experienced entrepreneur that has founded several other successful companies, and he is focused on solving new challenges with innovative solutions. Jain is on the board of directors for many organizations, including the X-Prize Foundation and Singularity University. history in the study of space travel and exploration. He was the director of the Optech Space Division, leading that company’s technology from the orbit of the Earth to the surface of Mars. Dr. Richards has studied space-related science extensively, leading him to become a proponent of the “NewSpace” movement, which focuses on commercial space ventures. Barney Pell is a well-known computer science researcher and the CTO of Moon Express. Pell brings his knowledge of computer language and vision to the team, adding his insight into their efforts to create the robotic spacecraft that they will soon send to the Moon. The company benefits greatly from the vision of its three founders. According to the Moon Express, Inc. press kit, the U.S. Government has given the project the green light to travel out of Earth’s orbit and onto the Moon in 2017. Since Moon Express is the first (and so far, only) company to be approved for off-world travel, it seems like they have a lock on winning that Lunar X prize. For more information on the project, take a look at their official press kit. You might wonder why we want to reach the Moon’s surface. If you go by what the company’s press kit claims, returning to where Neil Armstrong stepped first is part of a larger goal to reach the stars. The Moon also contains potentially untapped resources, including water, that may make it a base of operations for future deep-space travel. For a more short-term benefit, note that precious resources on the Moon will allow the Earth economy to expand, and prolonged dealings with the lunar surface will lead to possible inhabitation. Inhabiting the Moon, you don’t say? I’ve wanted to create a secret base on the Moon since I was 7, and now my Moon fortress is becoming a distinct possibility. Every startup runs on venture investments. These typically unfold into three investment rounds labeled A, B, and C. The first step is mainly for initial investments, and this is where keen entrepreneurs wow investors with the initial plans for their product. At the B-level, startups have the money and momentum to begin building and developing their project. The C-stage is for those final touches made before a project goes live. Currently, Moon Express is going through the B-phase, which means that they are well on track to make their 2017 launch date. Moon Express is extremely optimistic, and it should be. Recently the company raised $20 million in a B-level investment round by sending payloads to the Moon for NASA. That much money can entirely fund the trip to the Moon. Initial flight tests for Moon Express were completed back in June of 2015, and the company has taken great strides toward its goal. As a result, the U.S. approved their flight. The company merely needs to finish their build, and they will be ready to make space history with the first commercial lunar adventure. Now if I can just get them to take me.